The Poem Farm: Day 24 - National Poetry Month 2015 - Sing That Poem! Day 24 - National Poetry Month 2015 - Sing That Poem! Welcome to Day 24 of this Year's Poem Farm Project! Yesterday's poem was I Want You to Know This before My Party. Here is the tune that goes along with it, below. Did you figure it out? Students - So, here is a little hint. Today's song is has a serious and pretty tune. At least I think it does. And for most of the serious and pretty tunes of this month, I have wanted to write serious and pretty words. See Blue Soul (Blowin' in the Wind), There is a Poem (You are my Sunshine), Red Kite (This Land is Your Land),and Still (Amazing Grace) if you have not been following along, and you will see what I mean. Yesterday, though, I chose the tune for today - a serious and pretty tune - and I wanted to write something not serious or pretty to go with it. I just wanted to play with the juxtaposition of serious and silly at the same time. With my poemsong At Night (On Top of Old Smokey), I did a bit the opposite. On Top of Old Smokey is a silly song, but my poemsong for that day is more on the comtemplative side. Today's poem has a serious tune, but the words are silly. It is fun to mix things up in both writing and life, don't you think? I wrote much of today's poemsong in my car, as I have been doing a lot of driving lately. I sang and drove and drove and sang, writing nothing until I arrived home - tune and words stuck in my head. Then it was writing-revising time. Once again, I needed to do a little bit of research, and that's where National Geographic came in handy. You might like reading more about rattlesnakes there too. As we have just one week of Sing That Poem left, I have also posted an extra hint for the remaining poemsongs on Twitter today, for anyone who has not been playing all month. In non-rattlesnake news, it is a sincere pleasure to welcome teacher Debbie Feasel and her second grade writers from Plank Road South Elementary in Webster, NY today. In the slide show below, you will discover how she and her students colorfully play with line breaks and revision as they write their own poems. Thank you very much to Debbie and her young writers for joining and sharing with us. I have a feeling that I will be pulling out my colored pencils today for my own writing. At One Deep Drawer, Kortney Garrision is offering a giveaway this week of my book, FOREST HAS A SONG. Simply leave a comment on today's post by Wednesday, and you will be entered to win. Today Renée is hosting the Poetry Friday roundup at No Water River! All are welcome to the weekly Poetry Friday roundups, a place where anyone who loves poetry can gather, see what others are sharing and share a poetry idea or poem too. And today you are in luck because our host Renée will teach you all about Poetry Friday, just in time for this last Friday of National Poetry Month. We're here celebrating poems all year long, not only in April, and we hope you will visit us and find and offer all manner of poems for pockets and souls. I don't think I've guessed any of these right but it is lovely hearing you sing them, Amy. You are now officially my favorite polar bear singer :)! Today's poem makes me shiver a little. My husband has eaten rattlesnake meat . . . Thank you for the glimpse of those second grade poets - such fun to see them in action. That rattle snake poem made me smile at the end...doubt I'd have the same reaction would I to actually see one, though. Ugh! I'm glad I'm not the only one that writes poems as I drive. I use my voice recorder app to capture the poetry play as I can't always count on remember them at the end of the day. Then I replay the recording, write the poem, and clean it up. This poem was such fun to read. Students will enjoy it. I'm going to let them guess the song as they are much better at this game than I. "You kill me quite neatly." OH MY! 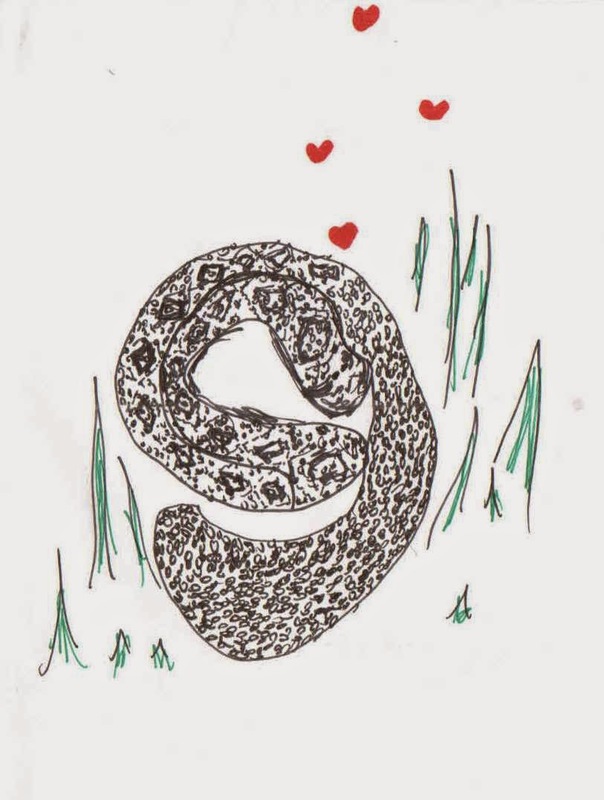 I'm not sure I can still love that rattle snake, but it makes me smile that you do. Thanks again for Skyping today. The time with you was so powerful for students. I had to leave for a meeting right after our conversation, but can't wait to see the poetry produced. The students were ready to write as they headed out of our media center. I have to say that this is my least favorite, but I say this with all due respect. The original song is so beautiful and I sincerely hate snakes with a passion, but once again my students had fun figuring it out. Both classes. I now am taking turns between each school. We will be sad when this game ends.